Sadly, I had to bow out of the Olympic Knitting race. I was knitting so much that my fingers went tingly and numb. So, the blanket is at work in hide-out. But I did get about 23 rows of the red done. So I've been taking a break and playing Plants Vs. Zombies on my phone. Very addictive and fun game! 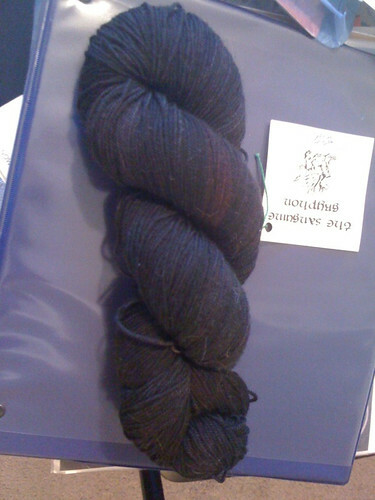 Monday, my Plurky knitter friends and I are doing a knit-a-long of a pattern called Brandywine. Option B. Sanguine Gryphon Bugga! The picture doesn't do it justice. It's a beautiful black with red undertones. Option C or D. Wollmeise! 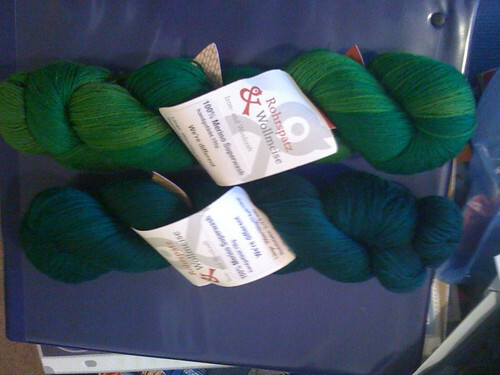 I've got one dark green, and one is more of a varigated medium/light green. 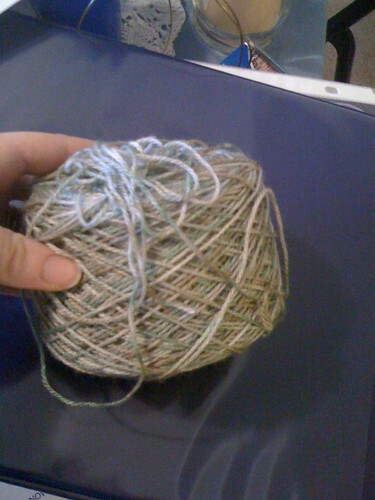 Hopefully my fingers will co-operate and I can cast on and knit along with my friends. 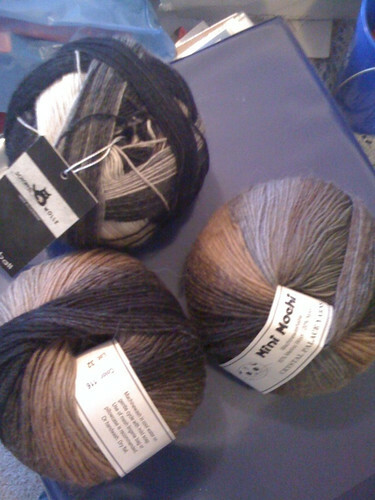 After that, I've got more sock yarn for Sam Socks! Speaking of Sam, I am very lucky to have someone who cooks for us most nights. Lately though, he's gotten a little burned out on the chore, so I have decided to cook for us two nights a week. Last night, I surprised Sam with a yummy restaurant recreation! Red Lobster style Cheddah Biscuits. 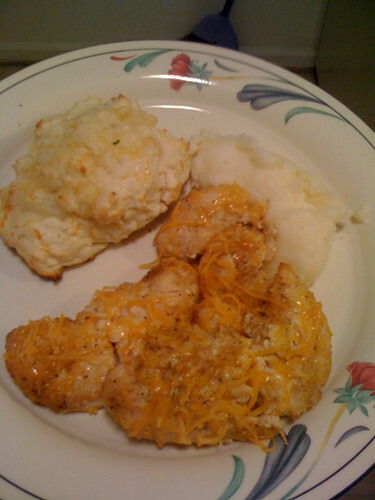 Cheesey Chicken ala TGIFridays and mashed potatoes. Nom!!! The biscuits are actually pretty easy. Take your standard baking mix (Bisquick or whatever), shredded cheese, and milk. mix it up, bake it, pour on some garlic butter and parsley. NOM! In my last post I said I'd put up a picture of me in my beret. 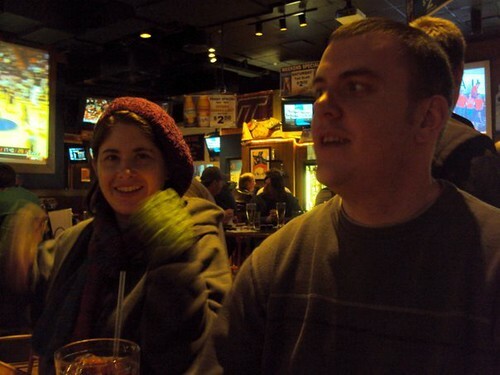 I've got quite a few but this one's cute, it's me and Sam at Buffalo Wild Wings. I think I was in the middle of taking off my fingerless gloves. 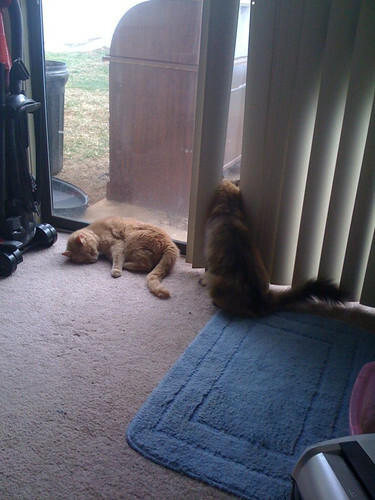 And, last but not least, the obligatory cat picture.